Lifelike knives are an excellent collection for PUBG game lovers. 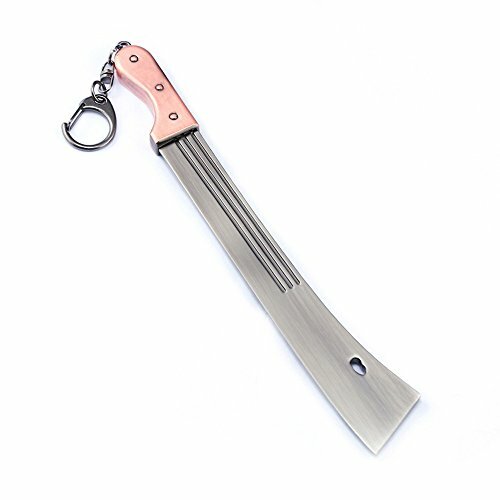 Unique appearance, excellent feel, can be used as fingertip decompression toys. WINNER WINNER, CHICKEN DINNERTotally Game Restore：Strict according to the game prototype imitation,as if brought out from the game. Gift recommendation： It is a good gift for PUBG game lovers. Unisex,father, boyfriend, girlfriend, girls, teens. Decorations:Fit for car, home, motorcycle keys accessories and bag, purse, backpacks decoration. Metal:Stable metal material not tarnish , it is easy to maitain and ideal for long-lasting jewelry designs.